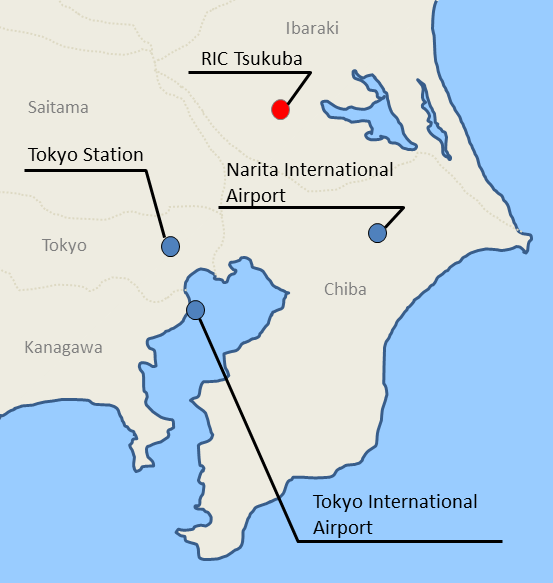 Below are described ways to leave from some major spots for Tsukuba Station (Tsukuba Center Bus Terminal). From there, you take a bus service bound for Hitachinoushiku station and get off at "Kisyoukenkyusyo". The bus ride takes around 10 minutes. From Tokyo station, take the JR Yamanote or Keihin-Tohoku Line train to Akihabara and change trains. From Akihabara, take Tsukuba Express train bound for Tsukuba and get off at the terminal. The ride takes 45-55 minutes. Take the bus bound for Tsukuba Center and get off at the terminal. The ride takes 2 hours. 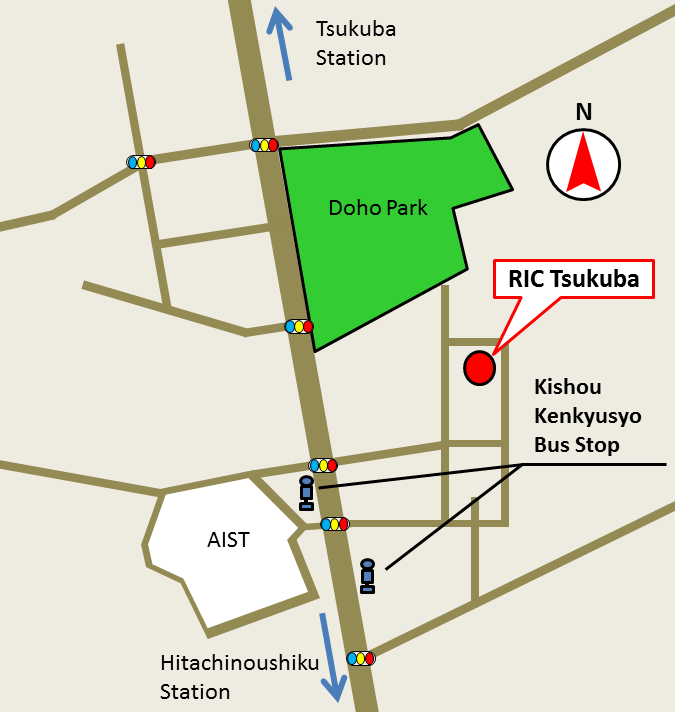 Take the bus bound for Tsuchiura station via Tsukuba Center and get off at the Tsukuba Center. The ride takes 55-70 minutes.